The gorgeous brainchild of Tamar Wider, The 2 Bandits is a collection of Southwestern-inspired, truly American jewelry. I stumbled across photos from the current lookbook last month and was immediately drawn to the natural metals & smooth stones. I've long had a thing for all things Southwestern, classically American and Native American inspired (you can see the first time I included some 2 Bandits in my perfect weekend look, and more of my love of southwestern details). 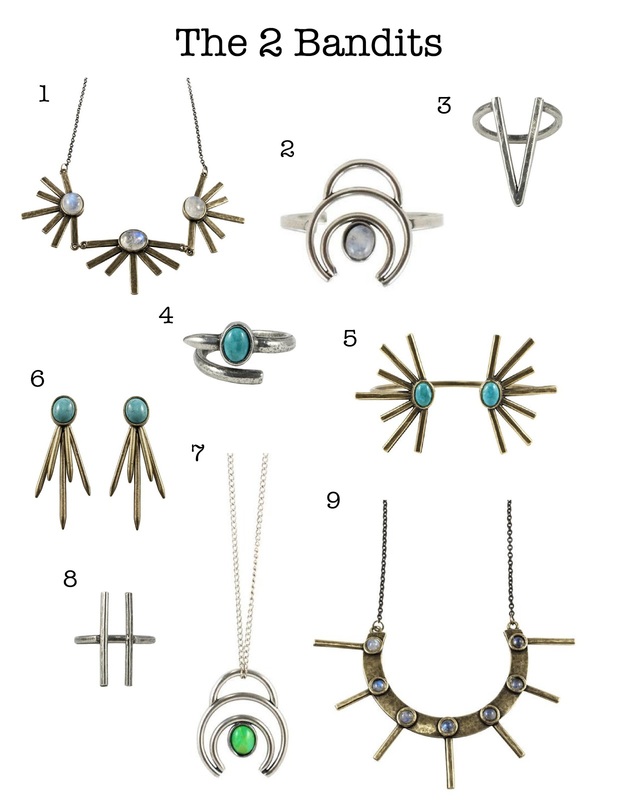 Since I visit their site a few times a week to drool over which piece I want to fit in my budget first, I figured I'd share some of my favorites. You can read more about Tamar & how her line got started here. Which pieces would be on your wish list?